One of the most widely praised concepts to emerge from the tech industry over the last several years is ridesharing, particularly through the services of companies such as Uber and Lyft. Not only is having the ability to request a ride and have it promptly show up nearly wherever you are a great service that millions now enjoy, it is also a textbook example of how the disruption of a traditional industry—in this case, the roughly century-old taxi business—can enable new types of business opportunities that couldn’t exist before. As great a concept as ridesharing may be, however, there are increasing signs of strain on the business model that ridesharing companies use, particularly regarding costs and technology timeframes. Before digging into these concerns, it’s important to remember the extent of influence that ridesharing has had on the tech industry overall. In fact, ridesharing’s enablement of the big picture concept of “transportation as a service”—where people can forego the purchase and ongoing maintenance of an automobile, and request rides whenever and wherever they need them—arguably has led to an enormous range of “as a service” offerings, most of which seem to suggest they’re the “Uber of something.” Of course, with regard to ridesharing specifically, arguably, some urban dwellers have lived this way for decades, and simply used taxis to get from place to place. With ridesharing apps and services, however, the process is significantly easier for a much wider group of people and—for now at least—much less expensive. 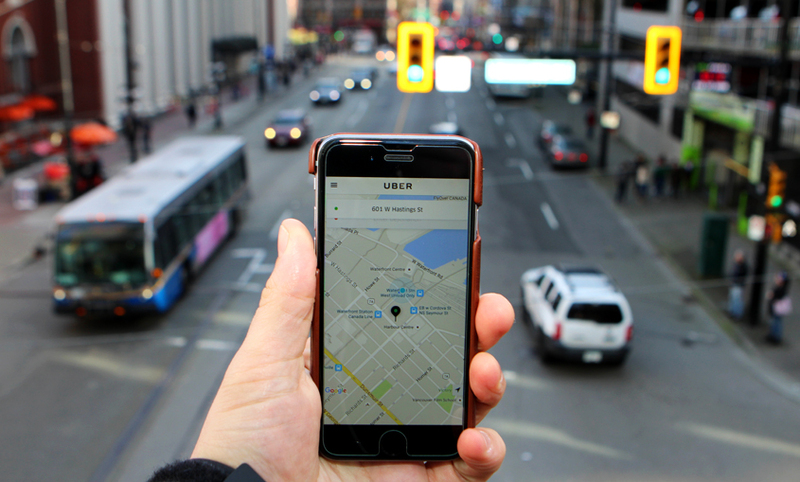 Part of the reason for the lower prices is the significantly different business models and expense structures between taxi companies and ridesharing companies. Because drivers for ridesharing companies aren’t employees, and therefore aren’t entitled to regular salaries, benefits and other costs associated with personnel, the overhead costs for them are significantly lower than they would be in other businesses. Throw in the fact that these drivers are using their own cars, and the physical asset-related expenses of most ride-sharing companies are almost zero. Traditional taxi companies, on the other hand, typically have to cover all of these types of expenses. Recent legal challenges to Uber in London (and potentially much more of Europe), however, clearly highlight a potential flaw in the “gig economy” independent contractor business model upon which ridesharing companies are so dependent (and which they created). If European laws are changed to force companies to officially hire these contractors, the costs to ridesharing companies could skyrocket. Plus, it’s not inconceivable that changes in one region could quickly migrate to other regions, causing a much larger impact than a single legal requirement might first suggest. Ironically, part of the problem is that these ridesharing services are a victim of their own success. So many people have become so dependent on driving for these services—either full-time or significant part-time efforts—that the ridesharing companies are seen as providing significant amounts of income to a large and growing group of individuals. The longer that process continues, the more dependent drivers will become on these ridesharing companies, and the more likely that employment with these entities starts to become a political issue with even more far-reaching ramifications. In theory, of course, this latter problem was never supposed to happen. Built into the business model of the ridesharing companies was an “inevitable” evolution to a fleet of self-driving cars that wouldn’t require any drivers. The drivers were only ever meant to be a temporary solution until the “real model” of an on-demand pool of autonomous cars was available. The problem is, the timeframe to reach truly autonomous cars looks to be lengthening. Despite some of the frothier media commentary to the contrary, it’s becoming increasingly clear that the technical, logistical, regulatory, insurance, and even ethical hurdles that still face fully autonomous vehicles are extremely high. As a result, it could be well into the 2020s before the key technological and legal conditions are in place to make fully autonomous vehicles a mainstream reality. We’ll see plenty of experiments before then, but as soon as the seemingly inevitable first serious accident involving an autonomous car occurs—regardless of where the true fault lies—the process will once again slow. The challenge with this timeframe is that it means the amount of people and the amount of income that will be impacted as ridesharing companies start to move away from human drivers and towards autonomous fleets is going to be enormous. The nightmare scenario for these companies is that the transition from an independent driver model to one based on an autonomous fleet lasts so long that legislators end up feeling the need to step in. Large numbers of their constituents could end up being impacted by such a transition, leading to demands for political action, all of which could slow down the transition even further. This is why I expect we’ll see a number of announcements similar to the recent Uber-Volvo arrangement about autonomous car partnerships. Certainly, the fact that Uber is working with a major car manufacturer like Volvo on autonomous cars is important, but it’s arguably also an effort to get people thinking about the transition to autonomous vehicles much sooner than is realistically possible. By driving the discussion towards the next stage in the ridesharing industry’s business model evolution, the announcement deflects attention away from what could be more pressing business model challenges in the near term. There’s no question that ridesharing is a tremendous useful and, for many, essential addition to the range of service offerings that tech companies provide. But as the industry matures, there could end up being a number of unintended consequences stemming from ridesharing’s once revolutionary business model. Any combination of these consequences could force people to re-evaluate what the industry’s long-term opportunity may really be. If it looks like a duck and sounds like a duck and walks like a duck, it must be a duck. These companies looks like, sound like, and act like a taxi cab service. As they are forced to follow the laws applicable to taxi cab services (like obtaining licensure, insurance, bonding, etc.) they will have to charge the same amount that your typical taxi cab service charges. One the one hand, these services have really convenient apps that make it very easy to use these services. On the other they (Uber in particular) have very poor history at obeying the law, insuring passenger safety, dealing with their drivers responsibily and ethically, etc. So I guess consumers have some choice - use these fly by night services that don't obey (in fact try to avoid as much as possible) the laws that pertain to them, or call a licensed and insured taxi service. This is why the "Uber of X" concept quickly died. Taxis are a highly regulated industry (for better or worse). Uber/Lyft didn't make most of their profits by tying in an app. They made most of their profits by throwing the regulations out the window and reaping the benefits. In other markets, like house cleaning, the industries are not highly regulated and there was little to be gained by attaching an app to it. Hence, most of the services floundered and died. "The Uber of X" concept was powerful but short lived. If companies like Uber have to play by the same rules, they will die as well. So once self-driving cars start populating the roads and displace driver after driver, will there be any backlash? A little sabotage on the side so you can keep your job?